When was the last time you cleaned your gutters? 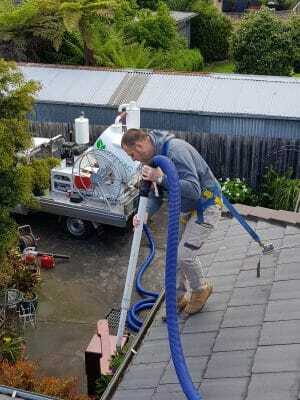 If you don’t know the answer to that question, it’s time you hired a professional gutter cleaner in Rowville to take care of it for you. Uncleaned gutters can lead to structural damage to your home and a range of other problems, making regular gutter cleaning an essential part of home ownership. Professional gutter cleaning not only keeps your home looking nice and tidy, it’s also a preventative measure against blocked drains, water build up and leaks. Clogged gutters can decrease the lifespan of your residential or commercial property, harming the roof, basement and foundation of the property. It also provides the ideal breeding ground for bacteria, mosquitos, insects and can even attract rodents like mice and other pests to set up their nests on your roof. Rather than risking your own safety and taking time out of your busy schedule, hire LeafVac to clean your gutters for you. Our professional staff are fully qualified and insured and will complete your job quickly, quietly and safely – we’ll even provide you with a before and after photo, so you can see the difference for yourself. We use cutting edge technology and an ultra-powerful vacuum excavator to provide long lasting, effective results, while ensuring your privacy. Take advantage of our professional gutter cleaning services in Rowville and call us on 0455 488 837 to book your job today.